Two of the most important breakthroughs in stem cell research were supported by NYSCF and have been recognized by TIME Magazine as research milestones. In addition to Dr Eggan’s work, Dr. Douglas Melton, a collaborator and a founding member of the NYSCF Medical Advisory Board, successfully reprogrammed pancreatic cells, a breakthrough that may lead to a new direction in diabetes research. And Eggan and Melton, along with collaborators at Columbia University, have begun a third path-breaking experiment to create genetic models of type 1 and 2 diabetes patients with human embryonic stem cells. 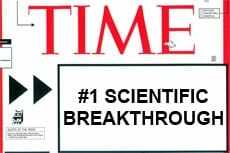 Science Magazine also named this research the Number 1 breakthrough of the year.